What happens after the raid, when terrified child slaves are rescued from criminal employers? At Bal Ashram, Nobel Peace Prize winner Kailash Satyarthi and his wife Sumedha provide a home and family for boys rescued from child labor. As the boys play and learn at Bal Ashram, their education is more than simply academic. They learn their rights, and they learn to assert their humanity. 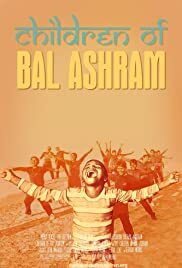 From slaves to shock troops in the war against child labor - the children of Bal Ashram fight for their peers still trapped in bonded labor.